During this week, I’ll be showing the Word of the Lord in both the Old Testament and how it was fulfilled in the New Testament. When the Messiah came to earth, many rejected Him as their Messiah, yet He fulfilled God’s Word in many verses. Satan loves to blind people to the truth, so they will continue in their unbelief. 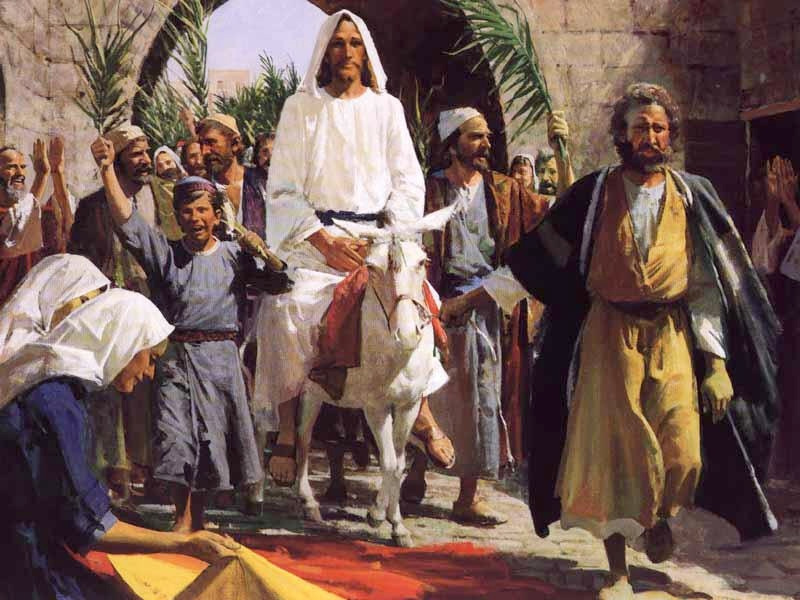 This entry was posted in Christian, Plus and tagged Christianity, Donkey Colt, Fulfilled Prophesy, Home School, Inspiration, Jesus Christ, Matthew 21:1-9, Messiah, Resurrection Week, Zechariah 9:9. Bookmark the permalink. Thanks, Lee! This puts life-on-Earth into perspective — we are living in a world that is completely under God’s control, organized for Christ’s glory, and being witnessed to by the Holy Spirit Who indwells and guides he lives of His human friends, as we serve Him — waiting for our turns to graduate into glory. That same Holy Spirit who indwells Christians — and Who restrains evil in the world — once appeared in the form of a dove (Matthew 3:16). And at Christ’s triumphal entry (whether it was on a Sunday or some other day)into Jerusalem, within less than a week of His crucifixion as our Substitute, we see the Lord Jesus comparing Himself (with respect to the trait of protective compassion) to a mother henr: “O Jerusalem, Jerusalem, thou that killest the prophets, and stonest them which are sent unto thee, how often would I have gathered thy children together, even as a hen gathereth her chickens under her wings, and ye would not!” (Matthew 23:37). Think of that next time you observe a mother hen. Thanks, Dr. Jim. Working on another one for tomorrow.